This spacious 2-bedroom apartment is the first floor of a charming 1880 s farmhouse that I m restoring. It s a 2-3 min walk to the Medical Center and UVM, and a 6 min walk to the Double Tree Conference Center. Sun porch. Well-equipped kitchen. Big backyard. Great neighborhood. Laundry facilities available for long-term guests. Guests have commented that they like that the two bedrooms are at either end of the apartment, so the occupants of each room have their own space. Linens are line dried so they have that wonderful scent! K cup coffee maker and an expresso maker. 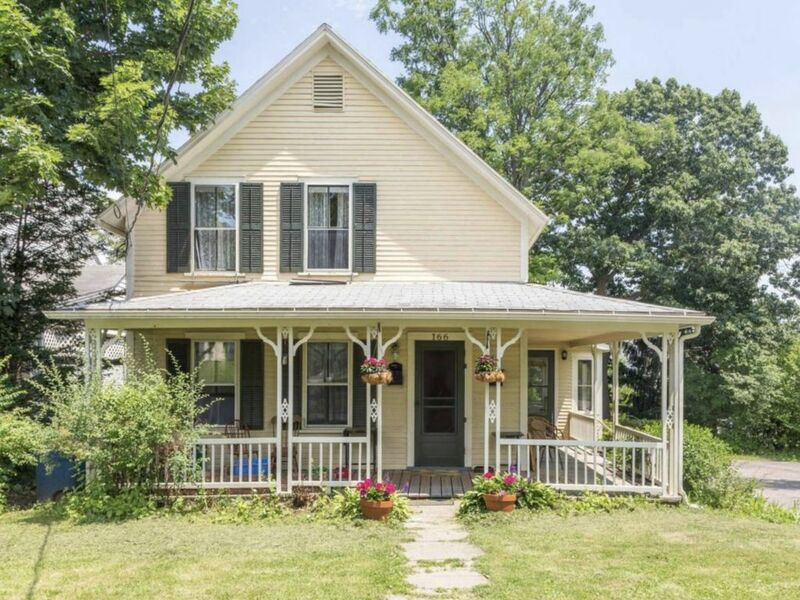 This farm house was roomie, comfortable and so conveniently located to activities available in Burlington. Owner Cindy is friendly and her spirit resonates in the home. We can’t wait to go back. Great clean and cozy place. I will definitely stay again! My daughter and I stayed at this property after her knee surgery. She is a student at UVM and I wanted her to be able to stay with me and convalesce somewhere other than the dorm. Cindy was a very friendly owner and the apartment had everything we needed. It was comfortable and close to campus so that my daughter was able to get back to classes easily. It’s adorable! And Cindy is very accommodating! The place is clean and very spacious. Cindy was very accommodating and offered us all sorts of things like food and extra parking! Cindy is a wonderful host. We were able to check in a bit early which wAs very helpful. The first floor apartment was easy to access , very clean and had everything to make our stay comfortable. We had 2 cars which were easily accommodated. I would definitely stay there again. Thank you Cindy!